Earlier this summer, CBS decided to give courtroom drama pilot Doubt—which it passed on last year—another shot. For writers Tony Phelan and Joan Rater (who are also Grey’s Anatomy producers), the first step in accomplishing that was to recast the show’s leads. First, they brought in Katherine Heigl, who was fresh off the cancellation of NBC’s State Of Affairs. 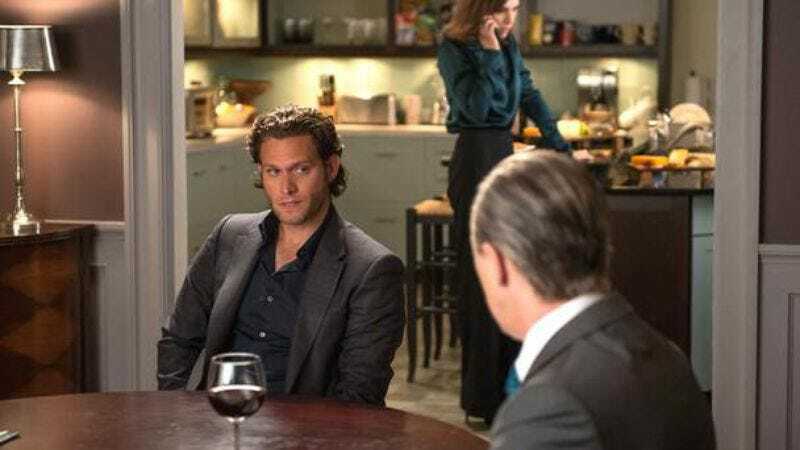 Now, according to Deadline, they’ve replaced the male lead with The Good Wife and Rescue Me’s Steven Pasquale—though, if we wanted to be snarky, we’d point out that he’s also known for playing the terrifying Dr. Face-Hands on Do No Harm. Deadline says Heigl’s character will be “a smart, chic, successful defense lawyer at a boutique firm who shockingly gets romantically involved with one of her clients.” The client will be none other than Pasquale, a “decent, altruistic pediatric surgeon” who “may or may not be guilty of murdering a 15-year-old girl.” Also, he may or may not have a face on his hands. We don’t want to spoil it. Doubt will also star Laverne Cox, Dulé Hill, Dreama Walker, Elliott Gould, and Kobi Libii.